PRO TECHNO INVITES STAY UP FOREVER: Chris Liberator (UK) e.a. Pro techno is al jaren in een adem te noemen met oldschool techno / acid techno. Op 17 oktober nodigt Pro Techno de Britse bemanning van Stay Up Forever uit. In samenwerking met het grootste acid techno label van de UK haalt Pro Techno een aantal Stay Up Forever exclusives uit de acid techno scene naar Tilburg. Chris Liberator is een van de grondleggers van het London 303 geluid, een leider van Rebel Culture en een icoon in acid techno. Deze man belichaamt de geest van acid techno en vertegenwoordigd al jaren deze scene. Na 20 jaar is Chris nog steeds volledig gewijd aan de acid techno waar hij, met de andere twee Liberators; Julian en Aaron, in 1991 deel van uitmaakte. Maak je klaar om te worden bevrijd door de machtige Chris Liberator! Komende weken worden er nog meer namen voor deze avond bekend gemaakt. Houdt de pagina goed in de gaten voor updates. volgende artiest wordt 29-07 bekendgemaakt ! A brand new concept with Pro Techno invites the UK crew Stay Up Forever; bringing this high levels of production and earth shaking beats to the table. We are proud to present this highly respected artists of the acid techno scene and we get them to the Netherlands with this great acid techno edition of Pro Techno. Stay Up Forever exclusives, an atmosphere with of pure love with slamming grooves and a great location at the Hall of Fame of Tilburg. Pro Techno introduces one of the founding figures of the London 303 sound, a leader of Rebel Culture who has fought back from the underground, using his Punk roots to fire attitude into the belly of the beast we all know and love as ACID TECHNO. His relentless enthusiasm and tireless dedication to the sound has seen him touch every corner of the globe with his firing beats, and still after all this years his undiluted passion is evident when you see him behind the decks, rocking parties wherever he goes. This man truly embodies the spirit of ACID TECHNO, and for those of us who are involved and follows the acid scene, he is essential in representing this sound. 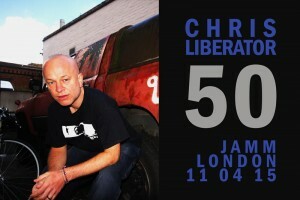 Get ready to be liberated by the mighty Chris Liberator. Next artist will be announced at 29-07 !! Stay Up Forever presents a special party elected by the SUF Crew to celebrate Chris Liberator’s birthday. There aren’t many true hero’s in dance music, very few who have reached into peoples hearts with not just the music and DJ sets that they produce, but with a genuine love and spirit for what they are doing. Chris liberator is one of these true greats, who for over 20 years has made a massive impact on the world wide techno scene as a flawless DJ with a killer dance floor style which is always delivered with an irrepressible smile. So many of us have special memories of Chris, whether it was one of his amazing techno sets or just having a chat about music and life with a man who always has time for you. Come and join us for a most banging 50th birthday occasion with Chris performing an extra long set alongside special guests hand picked by the man himself. Guest to be announced soon. Posted in Chris Liberator, Events. Tagged acid, birthday, Chris Liberator, event, legend, london, techno. Cromedrop Family torna con un evento caratterizzato da sonorità acide e ritmi incalzanti. Guest della serata due “mostri sacri” dell’Acid Techno: Chris liberator e The Geezer della Stay Up Forever Collective, che si alterneranno alla consolle del Kreuzberg Club con i dj e i producer della Cromedrop Records. Non mancheranno le visual e le scenografie che da 6 anni accompagnano gli eventi Cromedrop. HODGEPODGE HALLOWEEN SPOOKTACULAR // Broken Note // Fexomat // Chris Liberator // Hyper On Experience // Ghost // + many more!! In the spirit of Halloween, we’ll be going all out with decor and interactive games. Expect ghouls, ghosts, monsters and fiends; tricks, treats, apple bobbing, gunge, blood, gore and more! Friday 31st October 2014 @ The Black Swan! Full Lighting, Art and Decor installations. Shedding the name Shitmat, Henry roles out his new musical endeavour STEPTOE… You know what the ex Wrong Music maestro has to offer!!! ▻ Plus the exclusive return of ‘Irish Mikey’!!!! Full weekend tickets incl. camping, limited paper secure edition, also available give me call on 07918824447 local pick up or can be send via registered post. Full Weekend Ticket: £28 /Friday to Sunday, incl. camping/. Pobol Parti! Paratewch eich hunan am phenwythnos bendigedig! Bydd Khandra Sound yn dod a’r cerddoriaeth gorau o gwmpas Ewrop i Gogledd Cymry. Bydd y sioe yn cynnwys chymysg o steils gwahanol fel old skool, acid house, drum n bass, breakbeat, techno a llawer mwy! Ac os nad i’w hynnu’n ddigon, bydd hefyd yn bosib i clywed ska, punk, blues, disco a perfformiadau gan nifer o bandiau gorau gogledd Cymru. Fydd y band enwog, My Bad Sister, yn chwarae yn yr ardal yma am y tro gyntaf eirioed ac mi fydd Chris Liberator a Jeff 23 yn ddychwelyd hefyd. Mae’n mynd i fod yn tipyn o phenwythnos siwr braidd! Dewch i ymuno a ni am joyride epig yn y Penwythnos Copa Hud! We aim to provide a limited capacity event spread over 3 days set in the beautiful North Wales countryside with camping and glamping (rooms available on site with full facilities available on a strictly first come first served basis). This delightfully situated country escape is located about three miles south of Betws-y-Coed, a mecca for tourists in beautiful Snowdonia. accommodation on site situated in a historic building, camping site for you to pitch a tent if needed. Tea bar. Sorry but accommodation in hotel will only be available to people that purchase a full Weekend ticket! SATURDAY FANCY DRESS THEME IS WONDERLAND. No Glass on site. Could people please respect the land and the local area and clean up after themselves! The Country Club Reunion – The Legend Lives On..
After 2013’s amazing and heartfelt response from all of you it is great to be holding another Country Club reunion. Another family gathering where we can dance like the daddy and fund raise for two superb charities Macmillan Cancer Support and Wakefield Hospice. We hope you can come and join us in June, Clive’s Birthday month, to celebrate Clive’s life, The Country Club, the music and everything he gave to each and every one of us in this his birthday tribute. Nine hours of pure Country Club Family Fun. Last year we came together and thankfully, we were able to show Clive via live stream, how much passion we, The Country Club family have for music and for a good cause. This year we’re inviting you to come back and join us in celebrating not only our passion in music but our passion for Clive – The Dance Daddy. We have moved the date to June this year as this was Clive’s birthday month amongst many other residents. Come and celebrate Clive’s life, his and our passion and love for The Country Club, The Music and every other small moment of time he gave us to cherish in our hearts forever. At midnight we will hold a minutes mayhem. We want you shout, whistle, clap and generally have a minute of silliness and laughs for the Dance Daddy R.I.P. Please note after last years sell out we do not expect any OTD sales it is therefore advised to purchase your tickets asap. Area 51 & SubCulture: 24.05.14 – AUDIO, VANDAL, KROME & TIME, CHRIS LIBERATOR & STERLING MOSS – LAST EVER SUBCULTURE AT TRIBAL!! 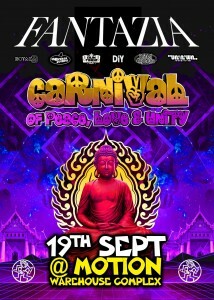 AREA 51 & SUBCULTURE TRIBAL NIGHTCLUB TAKEOVER! This coming Bank Holiday Saturday (24th) we are proud to present the very best in underground Drum and Bass, Jungle, Raggatek, Acid-Techno and much, much more at Colchester’s favourite party venue, Tribal Nightclub. The man behind one of the biggest tunes of the decade so far – ‘Headroom’. Freshly signed exclusively to Andy C’s Ram Records and with huge releases on Virus and Renegade Hardware, Audio represents the spirit of drum & bass in every aspect of his work. Known for his matchless production benchmark and brutal blends, we present an artist in the prime of his career. Co-founder of the legendary UK Soundsystem KAOTIK, Vandal finds himself right at the very heart of the European Raggatek community. 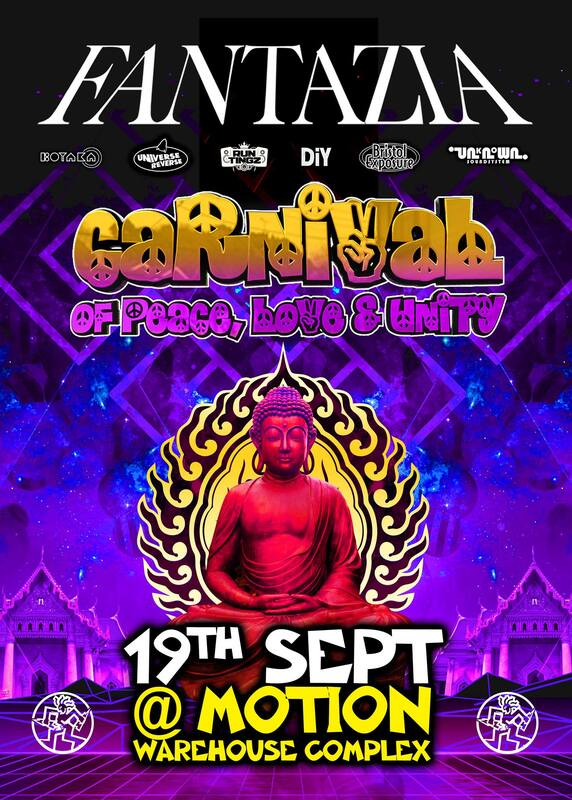 Combining a passion for Reggae and Rave he has relentlessly torn through Europe’s biggest festivals, teknivals, free parties, clubs and venues with his blistering sound and and trademark sets and his first set on a venue soundsystem in Colchester is long overdue. In the midst of the early nineties rave explosion, both Krome & Time’s productions and live performances proved consistent with the most upfront in the scene. Renowned as the sound of the underground, massive tracks like ‘The Slammer’, ‘Ganja Man’ and ‘The License’ still receive airplay on discerning dancefloors across the world and as revered veterans, they still pack a serious punch in the dancehall…. Perhaps the most loved and respected Acid Techno D.J. of all time, it is fair to say that Chris Liberator has probably played more squat parties, underground raves, teknivals, festivals, clubnights, and parties in his 23 year career than any other person alive. Joining us alongside Stay Up Forever partner in crime Sterling Moss, the duo will be finishing the party in explosive fashion down in the basement with a 90-minute live acid-techno performance. Sound & Light by Flatliners B.V.B.A.